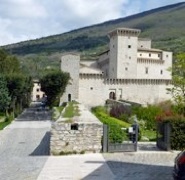 The walk around Gualdo Tadino crosses the centre of the town, from Porta San Benedetto to the Rocca Flea, and then returns along the souther wall to Porta San Benedetto. ✴a walk to the excavated site of Roman Tadinum. 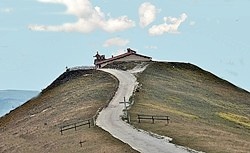 Return to the home page on Gualdo Tadino.